THE PRESIDENT For President Jonathan Bennett, reaching the White House was the realization of a lifetime's ambition. He's leader of the free world and the most powerful man on earth. But public support for his administration is wearing thin. And if the terrible truth about his rise to the top was exposed it would bury him. He will not let that happen. THE ASSASSIN As a boy, Evan Smoak was taken from his foster home and inducted into a top secret Cold War programme. Code-named Orphan X, he was trained to become a lethal weapon, then dispatched around the world to do whatever was required to keep his country safe. 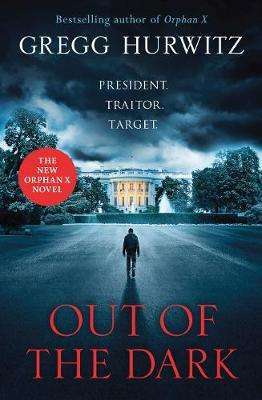 When Evan discovered the mission was rotten to the core, he got out using his skills to hide in plain sight while helping those who can't help themselves THE RECKONING But Evan knows about the President's dark past. And that's dangerous knowledge. To save himself and his country, Evan must ask himself one simple question: how do you kill the most well-protected man on earth? And, when he knows you're coming for him, how do you stay alive long enough to try? One thing is certain: a desperate call for help from another unfortunate in urgent need of Evan's protection isn't going to make it any easier... Breathtakingly bold, brilliantly accomplished and blisteringly fast-paced, Out of the Dark is The Day of the Jackal for the twenty-first century.